Hanna’s Comments: The abstract concept of hope is demonstrated through a variety of cross-cultural images in this simple but compelling picture book. It is good for even young children, who are likely concrete versus abstract thinkers. They can begin developing their understanding of this important and commonly used word. In the back, you’ll find a section called More thoughts on hope… where the author explains how the concept of hope began to have a richer meaning after witnessing the events of 9/11 and interviewing those who have experienced other devastating tragedies such as Hurricane Katrina. 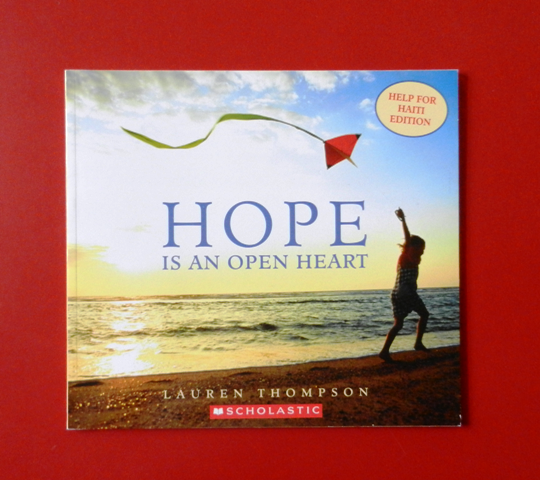 I have written an adult and a children's lesson about hope with this book as a component. You may purchase both for just $4. Contact me to request it via a comment here or my email: hannaschock@bellsouth.net. Idea(s) for application: Read this book during an adult or children's Sunday School lesson about hope or read to a small group to begin a therapy session.